One of our Nottingham housing developments is in the running for Development of the Year at this week’s UK Housing Awards. Geraldine Close in Bestwood was one of four developments in the first phase of Nottingham City Council and Nottingham City Homes’ Building a Better Nottingham scheme. The properties are some of the first in more than 400 new affordable homes being built across the city in the next four years. Formerly a disused garage site, Geraldine Close, has not only enhanced the aesthetic of the area dramatically, it has also helped to reduce anti-social behaviour and crime. The development includes four semi-detached two bedroom bungalows, which have all been built to The Code for Sustainable Homes, Level 4. Each property was designed and built using a fabric-first approach, ensuring the materials in the structure and build of the bungalows provide a high level of thermal efficiency. Energy-saving technologies, such as photo-voltaic panels and water-saving baths and toilet cisterns, are in place to offer sustainability and create homes that are cheaper to run. 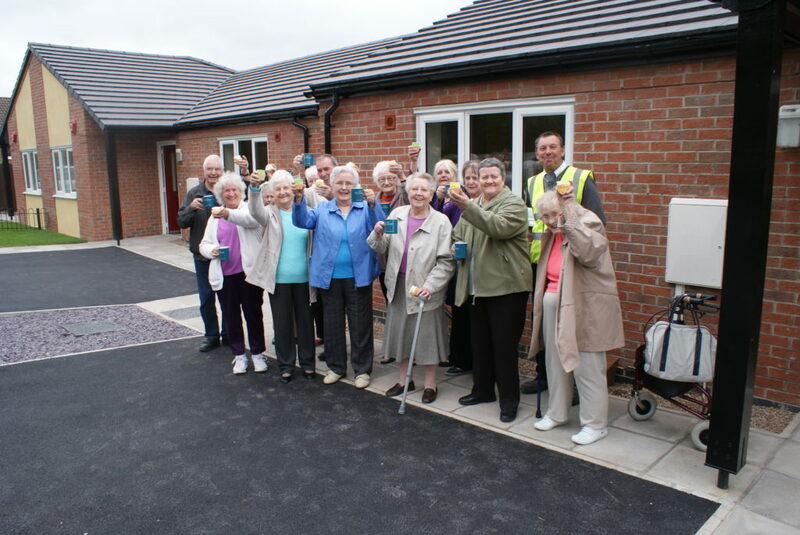 It also became the first social housing project to install sprinkler systems as standard for bungalows. As part of the build, we developed an innovative Home-User Guide for all the different technologies and appliances in the new homes. This was produced for new tenants on a DVD and available through QR codes and YouTube, giving them chance to see exactly what they need to do with a range of elements within the property. The top award winners will be announced on Tuesday 29th April at the London Lancaster Hotel. Earlier this month we won a Bronze Considerate Constructors Award for another Building a Better Nottingham development, at Henning Gardens. We are also nominated in five different categories at this year’s National Federation of Builders Awards, which will take place on Friday 16th May.